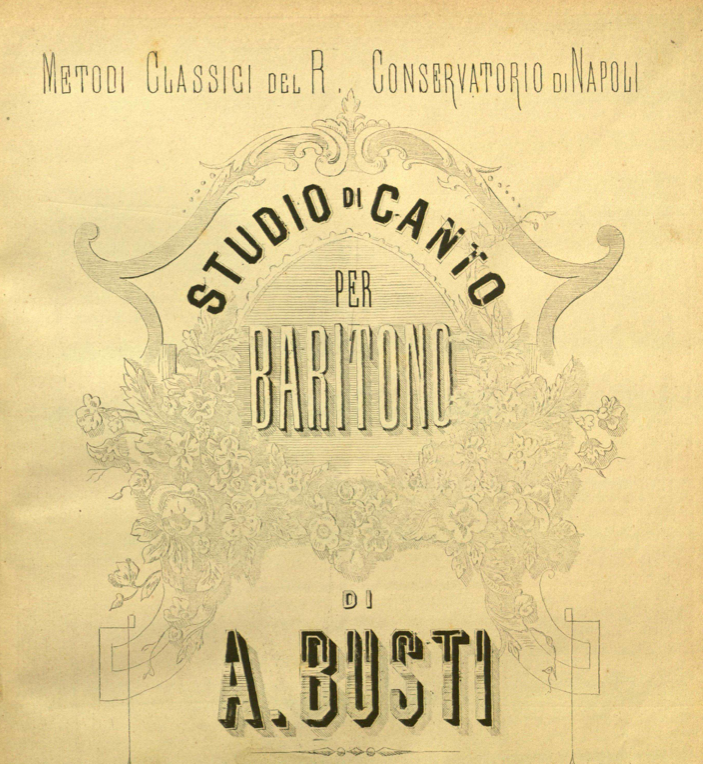 Students of historical vocal pedagogy can now download Alessandro Busti's Studio di Canto per baritono (1874/1865), the historic singing manual Lucie Manén wrote about in Bel Canto: The Teaching of the Classical Italian Song-Schools, It's Decline and Restoration (1987) that confirmed the bel canto teaching on the "start of the tone" she had been taught by Anna E. Schoen-René, a student of Pauline Viardot-García and Manuel García. Previously unavailable from the only library in America which had a copy (too fragile to scan), the text has recently been digitized by Landesbibliothek Coburg. Manén believed Busti had revealed a secret teaching of the old Italian school when he published the exercise you see below in Studio in Canto per baritono in 1864. 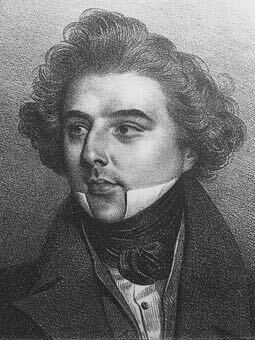 However, the exercise had already been published by William Huckel in 1820 in his fascinating little book Practical Instructions for the Cultivation of the Voice. Perhaps Manén was unaware of this? Whatever the case, the inclusion of this exercise in two different texts—one published in Naples and the other in London—can be traced back to the same pedagogical tree: Busti had been a student of Girolamo Crescentini, one of the last castrati, while Huckel had been a student of Domenico Corri, a tenor who had studied with Nicola Porpora. Busti's book is essentially one of vocal exercises with very little text, while Huckel's is just the opposite, containing excellent instructions woven around carefully chosen exercises. 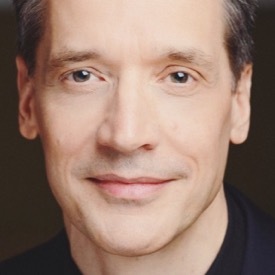 Those who read Huckel closely will be rewarded with detailed vocal techniques. His nuanced instruction on the old Italian school teaching of opening the mouth departs from the usual focus on the smiling upper lip. Huckel writes: "The lower lip should be inclined to the smile, so that the tip of the under teeth may just be seen; for if the lip is allowed to remain in its natural position during practice, the probability is, that it will weaken and damp the tone." Huckel also has curious things to say about the joining of registers, which involves crossing from chest to head by "pressing from the back of the mouth; the pressure necessary may be compared to leaning forward when walking against a very strong current of air." When I read this passage, my modern ears heard the words "lift" and "extension," which refer to proprioception of the muscles of the body rather a forcing of air from the lungs. Huckel also gives the reader excellent information on the "shake." 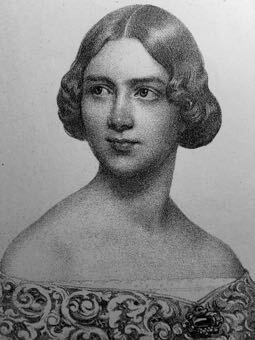 In fact, he may be the first writer to illustrate the manner in which it should be practiced, the first exercise being done slowly on a half-note (which is how Jenny Lind had been taught to practice it by Manuel García). There is a lot more waiting for the reader to discover in Practical Instructions for the Cultivation of the Voice, which I find to be one of the most intriguing texts I have encountered. 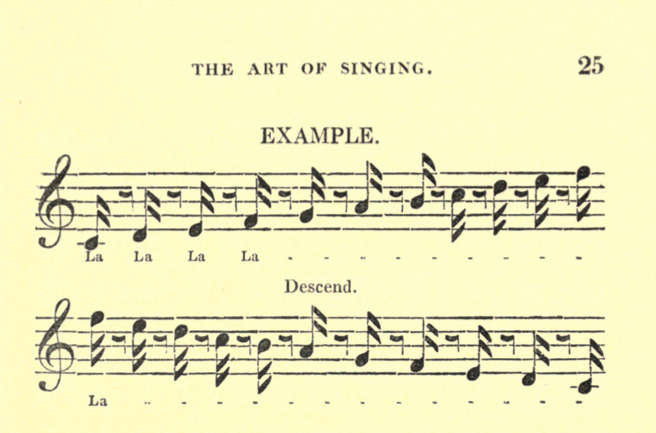 VoiceTalk readers now have two important 19th century singing manuals which compliment and inform each other. 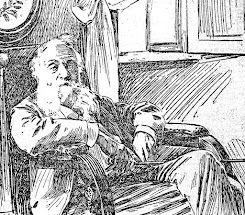 Note: The reader will notice that the link for Busti's text utilizes a date of 1874; however, close examination reveals the text to be comprised of two books, the earlier one being published in 1865. This group of exercises is entitled : "Misura del tempo a quattro movimenti"
It is a vocal AND musical exercise to teach the student to attack ON THE BEAT and ON THE OFF-BEAT in a series of different rhythms. Lucie Manen has quoted the first exercise of this group to support her views on how to attack. She has gone even farther and linked this exercise to her very personal and somewhat ridiculous theory of ' ventricular mechanism"
Thank you for allowing us to download these 2 books. But I do not agree with your respectful comment about Manen. Thank you for your comment, titiania47. 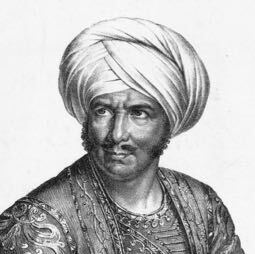 If you search VoiceTalk using the label "imposto," which is a word Manén used, you will find that students of Anna Schoen-René were taught a vocal technique that was also known to Frederic W. Root, who studied with Vannuccini and consulted—and perhaps studied with—Manuel García. That is not "nothing" whatever one thinks of Manén and her machinations. Lastly, I believe one must ask why Huckel chose to include this exercise in his treatise, which he features from the get-go and not merely in terms of a rhythmic exercise. That is what occupies my attention. 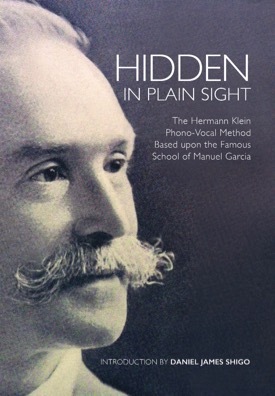 It is clear than Manén was taught a vocal technique that has a presence in the historical record. What she did with it is another matter. The idea of using the off-beat to teach the attack as a "reaction" is not bad. Thomas Helmsley in Singing and imagination (p.50) explains this in a manner more detailed than Manen herself in her own book. What I want to say is that, in the present case, it does not appear clearly to me that it is what Busti meant with this exercise . There is no reference to a study in attack. This exercise, when not truncated, (Manen's mischief!) is not based on the off-beat. When comparing books of old maestri with modern ones,it seems to me that in the 20th an 21th century we are becoming more and more sophisticated, perhaps too much so. Does a student really need an anacrusis to feel the attack as a reaction? Can't he have this reaction on the last beat of the precedent bar? I will read Huckel to look at what you say. I have not yet read it, only downloaded for a future reading . I am just now going deeper into Fleming and Klein and thank you heartily for allowing me to read their texts. I am teaching N° 1/ 2 and 3 of Klein's book, and with good results.So I certainly does not want to be impertinent! I try to choose among the maestri of past and present those that I want to follow and those I do not. It is not a small task. It is more complicated with teachers like Manen, who write interesting things along with other more doubtful .